Expanding through the years from a one-county organization that benefited peace officers to its current form, The 100 Club of Southeast Texas now serves both peace officers and firefighters in three counties. A group of area businessmen and private citizens originally organized in 1988 after the shooting death of Beaumont Police Officer Paul Hulsey Jr., and incorporated as The 100 Club of Jefferson County. 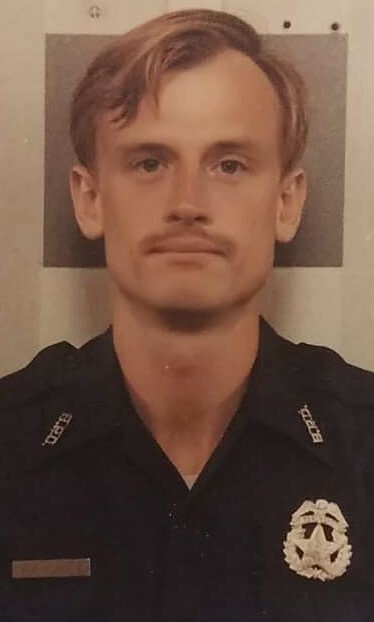 On March 22, 1988, Officer Hulsey died at age 29 leaving behind a wife and two young daughters. Hulsey was the victim of a gunshot wound received at a Beaumont motel while investigating a car theft. Michael Lee Lockhart, 28, of Toledo, Ohio, was convicted of capital murder in the trial that followed. Hulsey’s death provided the catalyst for a group of business leaders to take action. At a news conference, Wayne Reaud, the club’s first board chairman, announced the formation of The 100 Club of Jefferson County on May 26, 1988. The club’s purpose was to operate a trust fund primarily as a means of assisting the spouse and dependent children of officers killed in the line of duty. “The death of Officer Hulsey showed we’re not doing enough for law enforcement officers who risk their lives for us daily,” Reaud told the news media. The club’s founders studied similar programs throughout the state and patterned the Jefferson County organization largely after the Houston 100 Club, which had organized 35 years earlier. In addition to Reaud, the original board members and the businesses, or other entities, they represented in 1988 were: Ben Hansen, Beaumont Enterprise; Joe Deshotel, Lamar University; Bob Wortham, U.S. Attorney’s office; Dr. Henry Insall, Chiropractic Health Center; Charles Nacol, Nacol’s Jewelry; Mike Laosa, Port Arthur News; Mack Roberts, Pipefitters Local 195; Wayne Sherman, Sherman Lumber Plus; and Walter Umphrey, Groves lawyer. On April 23, 1996, Hardin County joined the club, thus extending benefits to law enforcement agencies in two counties on city, county, state and federal levels. The club’s new name, The 100 Club Jefferson and Hardin Counties, became official with a board action July 19, 1996, when a by-law revision formalized the expansion. On April 13, 2006, The 100 Club of Jefferson and Hardin Counties announced that firefighters, either paid or volunteer, and public-sector emergency service workers are eligible for benefits under the 100 Club umbrella. Finally, in May of 2010, the Club announced the addition of Orange County thereby extending coverage to benefits to peace officers and firefighters in all three Southeast Texas counties, Jefferson, Hardin and Orange. Since Officer Hulsey’s death in 1988, the Club has joined the area in mourning the deaths of six more peace officers: Lisa Beaulieu, Conrad Gernale, Bryan Hebert, Michael Lane, Michael Pauling and Wesley Wagstaff. Help Us Support the Families of Fallen Heroes by Donating Today.